Beth Barany - Award-winning author, Beth Barany writes in two genres: young adult fantasy and contemporary fantasy romance.Inspired by living abroad in France twice and Quebec once, she loves creating magical tales of romance and adventure to enchant readers into new worlds where magic conspires to bring more love into the world.In her off hours, Beth enjoys walking, reading and watching movies, and traveling, with her husband, author and singer/song writer Ezra Barany.Beth Barany lives in Oakland, California with her husband, a cat named Leo, and over 1,000 books.When not writing or playing, Beth runs her own company helping novelists as a book midwife and teacher to help them write, market, and publish their books. She holds authors’ hands while they push their book out into the world. MORE ABOUT BETH BARANYBeth Barany is a writer’s coach, a keynote speaker and a marketing advisor for writers and publishers. The author of the bestselling books for writers, The Writer’s Adventure Guide: 12 Stages to Writing Your Book, Overcome Writer’s Block, and Twitter for Authors: Social Media Book Marketing for Shy Writers, she also publishes the monthly digital magazine, Author Entrepreneurship Magazine, to help authors create successful and sustainable careers. Beth is also the award-winning novelist of the young adult epic fantasy, Henrietta The Dragon Slayer, the first of a 3-book series.As a Master NLP Practitioner and Certified Creativity Coach, Beth has helped authors get their books written, edited and published for over 12 years, as well as guided them in effectively marketing and selling their work. Five of her clients’ books have been best-sellers. 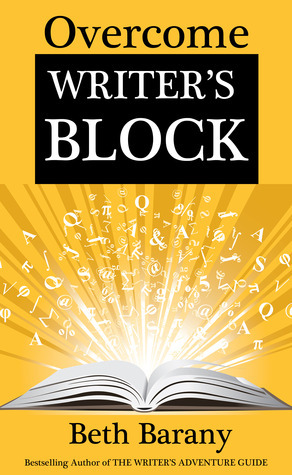 Sign up for her newsletter and receive her free Writer’s Motivation Mini-Course at BethBarany.